John A. Quelch is the Charles Edward Wilson Professor of Business Administration at Harvard Business School. He is also a fellow of the Harvard China Fund, a Member of the Harvard China Advisory Board and Associate in Research at the Fairbank Center for Chinese Studies. Between 2011 and 2013, Professor Quelch was Dean, Vice President and Distinguished Professor of International Management at CEIBS, China's leading business school. Between 2001 and 2011, he was the Lincoln Filene Professor of Business Administration and Senior Associate Dean at Harvard Business School. He served as Dean of London Business School from 1998 to 2001. Prior to 1998, he was the Sebastian S. Kresge Professor of Marketing and Co-Chair of the Marketing Unit at Harvard Business School. Professor Quelch is known for his teaching materials and innovations in pedagogy. Over the past twenty-five years, his case studies have sold over 4 million copies, third highest in HBS history. 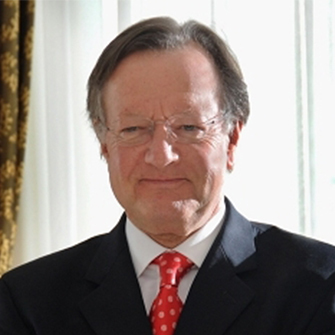 Professor Quelch has served as an independent director of twelve publicly listed companies in the USA and UK. Including Pepsi Bottling Group, Reebok International Ltd. and easy Jet plc. He is currently the longest serving non-executive director of WPP plc, the world’s largest marketing services company. He is also a non-executive director of Alere Inc., a medical diagnostics and health management company. Professor Quelch served three governors over eight years as Chairman of the Port Authority of Massachusetts. He has been a consultant, seminar leader and speaker for firms, industry associations and government agencies in more than fifty countries. He is a member of the Council on Foreign Relations and was appointed CBE (Commander of the Order of the British Empire) in the Queen’s 2011 Birthday Honours. Professor Quelch is the author, co-author or editor of twenty-five books, including All Business Is Local (2011), Greater Good: How Good Marketing Makes for Better Democracy (2008), Business Solutions for the Global Poor: Creating Social and Economic Value (2007), The New Global Brands (2006), Global Marketing Management(5th edition, 2006), The Global Market (2005), Cases in Advertising and Promotion Management (4th Edition, 1996) and The Marketing Challenge of Europe 1992 (2nd edition, 1991). He has published eighteen articles on marketing strategy issues in the Harvard Business Review, most recently “How To Market In A Downturn” (April 2009), and many more in other leading management journals such asMcKinsey Quarterly and Sloan Management Review.